If you’re tired of encountering broken down — and blocked off — escalators at Capitol Hill Station and across the rest of Sound Transit’s light rail facilities, here’s hoping for some good ideas in the University of Washington Vertical Conveyances Report. Sound Transit’s annual light rail ridership rose around 13.5% through September — about 10% of the 72,000 additional daily boardings across the system’s 16 stops happened at Broadway’s Capitol Hill Station. Link light rail ridership continued its strong growth during the third quarter, with a 13.5% increase compared to the same period last year. Average weekday boardings were 76,821, a 13.5% increase compared to the third quarter of 2016. The Angle Lake extension opened the last weekend of the third quarter in 2016. The continued increase in ridership and average weekday boardings is attributed to the two service expansions in 2016 as well as the addition of the Angle Lake Garage with more than 1,100 parking stalls. The region has enthusiastically adopted Link as a convenient transportation choice. According to Sound Transit’s just released quarterly ridership report (PDF), around 6,953 people board trains below Broadway every weekday — up by about 800 per day from 2016. We've seen this decline since Angle Lake Station opened. Which makes us think people who once transferred from RaipidRide at the airport or Tukwila are now getting on the train at AngleLake. Sound Transit won’t have a enough history for full year over year annual Broadway-boosted comparisons until 2018 — Capitol Hill Station debuted in March 2016 and immediately helped jolt light rail ridership to “record” numbers. The design process to create 400 affordable and market-rate apartment units and 59,000 square feet of commercial and community space around Capitol Hill Station will move back into motion next week. Here is what the Capitol Hill Station “transit oriented development” is planned to look like. Architects for developers Gerding Edlen and Capitol Hill Housing have submitted the second — and final — round of design proposals for the project planned to create four new seven-story buildings on Broadway and 10th Ave just north of Cal Anderson Park. The full proposal is available here (PDF). Earlier this month, Sound Transit and Capitol Hill Station celebrated one year of service carrying thousands of riders every day on the light rail line connecting downtown to Montlake by way of Broadway. The two acres of so of pavement around the station, you might have noticed, remain empty but there are big plans. Here is what comes next after December’s first design review — and why the one-year celebration didn’t include a ribbon cutting from the project’s developer Gerding Edlen for the some 400 affordable and market-rate apartment units and 59,000 square feet of commercial and community space planned to rise around the station. Destined to begin construction in 2018 and open for new residents late the following year, the architects behind the largest buildings and the key central plaza above Capitol Hill Station are refining plans following the project’s first step in the special streamlined design review process set up for the community-guided “transit oriented development.” As part of its application for the critical land use permit, Hewitt Architects submitted a roster of planned design changes based on feedback from the design review board for the project’s main Site A building along Broadway and the pedestrian plaza that will sit above the busy light rail station below and is hoped to create a central gathering place, a home for the Capitol Hill farmers market, and a new gateway for the adjacent Cal Anderson Park. Parking: The developer’s rep told the crowd at the December design review that there was likely to be fewer parking spots than included in the design plan. True… kind of. The big lot is down to 158 spaces: Site A was previously showing 183 parking spaces on 3 below grade parking levels. This has been reduced to 158 spaces. 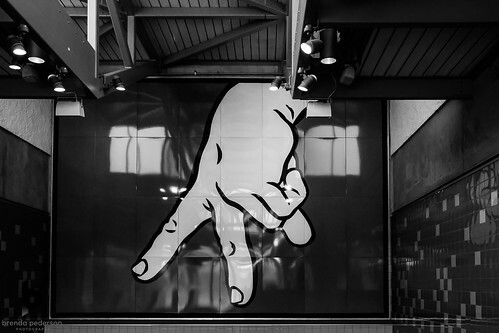 Around 7,000 riders utilize Capitol Hill Station on any given weekday. As expected, it has become a new center of the neighborhood — and a high speed portal connecting us to a new spine through Seattle. You may have found yourself at the University of Washington or in Pioneer Square more often since the service started in March 2016. Friday, Sound Transit, perhaps shy after some of the negative reaction to its launch celebration of the U-Link line, perhaps busy with larger concerns, will hold a small, few-hour party across the Broadway light rail station and its sister UW Station. We visited the other CHS and joined its riders this week to capture the line as it looks and feels today and as a kind of thank you. It’s a good train. With worries about what comes next for big projects like it, we should celebrate it. Friday from 2:30 – 4:30 p.m. we’ll have ST staff greeting riders for U-Link’s Happy 1st birthday at the UW and Capitol Hill Stations. Folks will see/hear staff passing out Happy 1st birthday stickers and birthday cards, live music by street performers, and, at Capitol Hill, a Sounders FC pop-up tent with giveaways. It is a pretty modest celebration. We suggest you hold a light rail party or two of your own this week. Send us pictures. Tuesday’s national election results were a prime example of how, sometimes, it’s not as important how many votes you get but how you get them. But the hugely important decision faced by Puget Sound voters on the future of the region’s transportation system ended up a celebration of the popular vote. The campaign to deliver a combined “YES” on Sound Transit 3 vote across King, Snohomish, and Pierce counties celebrated its victory Thursday. Today, I am honored to officially declare that Sound Transit Proposition 1 has passed with majority support from voters in Pierce, King and Snohomish counties. With this landmark vote in favor of regional mass transit we’ve turned the page on our tumultuous transportation past, and begun a new chapter that will redefine our future. Proposition 1 finally gives us the full-scale public transportation system we have always needed. It will benefit all of us, as well as our children and grandchildren by improving the environment, our region’s economy, and the quality of life of people in the Puget Sound for generations to come. On behalf of the entire Mass Transit Now campaign and our coalition partners, I extend my sincere gratitude to everyone who supported Proposition 1 with their time, treasure and votes.